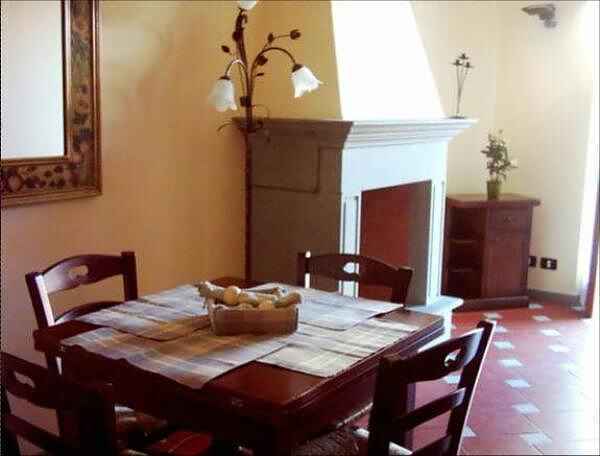 It is provided with a great and bright double bedroom, with a bathroom in Tuscan marble and a dining room with cooking corner and fireplace . It has a balcony which overlooks on Santa Maria del Carmine church, where you can have your meals. Going out of the apartment you can reach by foot or with public transport all main attractions of the city: Duomo, Battistero, Campanile di Giotto, Palazzo della Signoria, Chiesa d'Orsanmichele, Ponte Vecchio, Palazzo Pitti, Chiesa di Santa Croce, la Chiesa di San Lorenzo e la Chiesa di Santa Maria Novella. The apartment has recently been restructured and elegantly furnished, it has air conditioning, heating, hair dryer, TV-DVD, refrigerator, microwaves, washing machine and iron. Perfect for the stay of a couple or a family. The San Frediano area is full of pizzerie, restaurants, wine bars, besides the typical market of Saint Spirito where you can be able to find so many interesting things at good prices. Special discount for long stays.